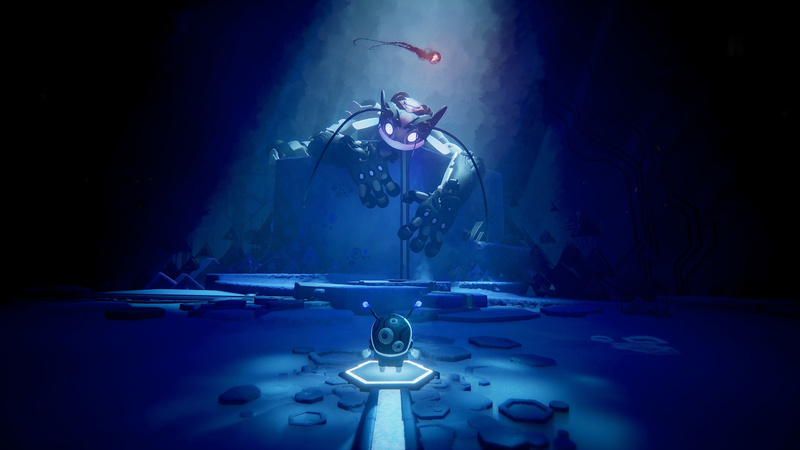 Media Molecule’s showing a compilation of mini-games that it’s made in Dreams here at EGX 2018, and the highest compliment we can pay them is that many of them would comfortably hang in the indie stand. We don’t even need to get hands on time with the package’s impressive and comprehensive creation suite to realise that the Guildford developer’s been cooking something scarily special here. The mini-games are vibrant and varied, ranging from arcade shooters to visual novels. The latter, a classic white-on-black text adventure, tells the tale of an ordinary teenager who arrives at an extraordinary house party; beware what you find in the attic. It’s brilliant, and an example of just how powerful the title’s game making suite is. Within seconds of completing the visual novel, you can be playing as a hammer smashing light bulbs in a madcap co-op experience. There’s also an intergalactic dogfighting game, complete with shifting perspective so you can play in third-person or first-person, and a Comix Zone-style side-scroller that seamlessly switches dimensions as a giant pencil arrives on the screen and sketches in new scenery. Perhaps the “weakest” of the lot is a Defender-inspired arcade shmup, which didn’t feel as polished as the other options. Oh well, it’s Dreams – you just quit out and try something else instead. Perhaps most impressive of all is the taster of the title’s campaign that we got to play, which essentially sees you assuming the role of a small robot, which can send out a large energy charge. Doing this is essential to opening up new paths through the level, but there’s so much great platforming packed in here that it serves as a reminder of how good Media Molecule is at, y’know, actually making games. The fact that it’s all been built using a DualShock 4 is dizzying to say the least. Look, we’ve seen the creation tools to death, and we already know they’re borderline award-winning in terms of their accessibility. 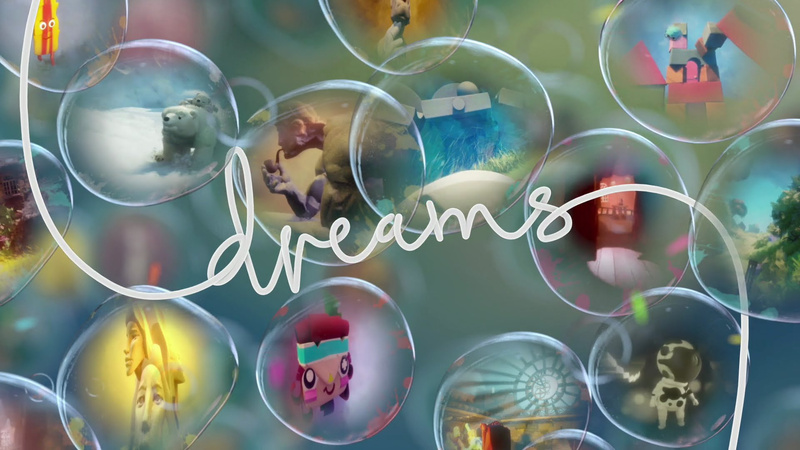 Media Molecule looks to have made the art of creation both entertaining and genuinely collaborative, and when you consider how wildly powerful this suite is compared to LittleBigPlanet, the studio must simply be itching to get it into people’s hands. It’s not finished yet, but make no mistake: the developer’s cooking something special here. Really special. Where do you stand on Dreams at this stage? Are you just eager to see it released, or are you happy for Media Molecule to take its time? Ask when the beta’s coming out in the comments section below. When's the beta coming out? Waiting for the beta, hope they release this year. I also really hope the full game is coming next year. I guess I’ll take your word for it. Is there such a thing as "Beta of the Year" candidate? I feel that's their only hope for this year. Oh well, PS5 needs launch titles. Do we know if there’s any sort of parameters that limit the length of time a created game could be? Anyhoo, I’m super keen to experience Dreams, but am also quite daunted by the worry of being overwhelmed by it from the get go. However, I would also imagine that MM will have worked long and hard to make the creation processes as accessible as they possibly can. I was thinking it would work better as a launch title or early in the generation. Purely because it will give the players more time to create the great games for people to play over that generation. They’ve clearly missed the beginning of this generation so maybe it’s worth hanging on now. Rather than releasing in the PS4 twilight years. @jacobia I think there's a thermometer that indicates the amount of objects you can place. I too would like to see some numbers. Or maybe give us an example of a game that's pushing it to the limit of what it can do. The demos we've seen so far are all relatively small, so can I create my open world fantasy game or not? @gingerfrog I expect we’ll get a ps5 version too, in which everything created for the ps4 carries over. @Octane Ok, thanks for that. Sounds good, I’m going to try creating a survival horror, and absolutely with combat as it bugs me not having a means to fight back in these types of games. Bold claim. I hope you end up being right. Keep hearing about this game and still not been released years and years later. Probably better just to release it on PS5 and have it as a launch title. Seems like a game that would benefit from that. Dual PS4 release/PS5 launch game then? This in VR will eat up a lot of my time. Interested in playing the story and user created levels but very little expectations that I'll be able to make anything even remotely interesting myself. Looking forward to having a play around with create mode in VR though. Question, has it been confirmed that VR levels can be made in the create mode? 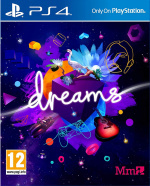 I don’t always buy games on day 1, but when I do, it’s Dreams. @JoeBlogs @gingerfrog I think you want as large an audience as possible. The small install base of a new console reduces the number of possible creators. @gingerfrog It is sad it's taken this long. They showed the beginnings of the game off at the PS4 announcement event, we actually saw this game engine before we saw the PS4 hardware. Now it may release after the PS5 gets announced. I do think it will release before the PS5 launches - that will be a while yet - btu as you say, who wants to rush out and buy a long lasting PS4 game when PS4 is dead and it's time to move on? Though 1 thing it could have going for it, PS5 could be backwards compatible with all PS4 games so we can play it on PS5. Then they won't need to port it. Though I'm not sure the PSVR headset and box will plug into the PS5, they may hook up PSVR2 differently, preferably without the box. Most people will probably play it most of the time without PSVR anyway. Next year wont' be able to compete w/ God of War, Spiderman and RDR2 game wise but if we get Last of Us 2, Dreams, and a PS5 announcement that will make for 1 very interesting year. I'll probably never play this but always happy to see more games like this happen.